To claim this profile, please confirm you are Reese Marcosa. To follow this profile, please let us know your relationship to Reese Marcosa. Reese's baseball stats have been updated for the loss @ Pacifica. RESULTLoss Varsity baseball @ Pacifica. The Tustin varsity baseball team lost Friday's away conference game against Pacifica (Garden Grove, CA) by a score of 8-4. Reese's baseball stats have been updated for the loss vs. Pacifica. RESULTLoss Varsity baseball vs. Pacifica. The Tustin varsity baseball team lost Wednesday's home conference game against Pacifica (Garden Grove, CA) by a score of 6-0. Reese's baseball stats have been updated for the loss vs. Kennedy. 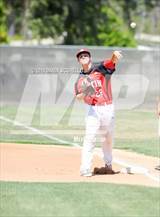 The Tustin varsity baseball team lost Friday's home conference game against Kennedy (La Palma, CA) by a score of 18-2. Reese's baseball stats have been updated for the loss @ Kennedy. 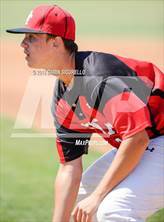 The Tustin varsity baseball team lost Wednesday's away conference game against Kennedy (La Palma, CA) by a score of 3-1. Reese's baseball stats have been updated for the win @ Sierra Canyon. RESULTWin Varsity baseball @ Sierra Canyon. 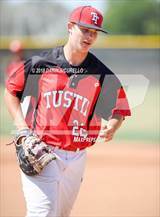 The Tustin varsity baseball team won Friday's away tournament game against Sierra Canyon (Chatsworth, CA) by a score of 3-1. Reese's baseball stats have been updated for the loss vs. Cypress. RESULTLoss Varsity baseball vs. Cypress. 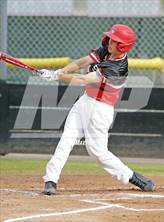 The Tustin varsity baseball team lost Wednesday's home conference game against Cypress (CA) by a score of 15-7. Reese's baseball stats have been updated for the loss @ Cypress. RESULTLoss Varsity baseball @ Cypress. 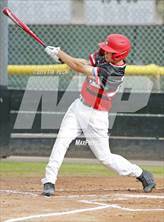 The Tustin varsity baseball team lost Tuesday's away conference game against Cypress (CA) by a score of 1-0. Reese's baseball stats have been updated for the tie vs. San Clemente. RESULTTie Varsity baseball vs. San Clemente. The Tustin varsity baseball team tied Wednesday's home tournament game against San Clemente (CA) in extra innings by a score of 0-0. Reese's baseball stats have been updated for the tie vs. Nogales. RESULTTie Varsity baseball vs. Nogales. The Tustin varsity baseball team tied Tuesday's neutral tournament game against Nogales (La Puente, CA) by a score of 4-4. Reese's baseball stats have been updated for the win vs. Mayfair.